Apple held an event in Cupertino today, and in the event, they launched their all new iPhone SE, which has been in the rumors for a long time now. Apple has shocked everyone with everything that comes packed in the phone. A lot of what was announced was already available to us before hand via rumors. The all new iPhone SE packs a 4-inch display with a Retina display. The phone is powered by a 64-bit Apple A9 processor. The storage on the phone is available in 16GB and 64GB. We have no information about the RAM and the clock speed of the processor yet. The primary camera on the phone is a 12-megapixel iSight camera with a true tone LED Flash. 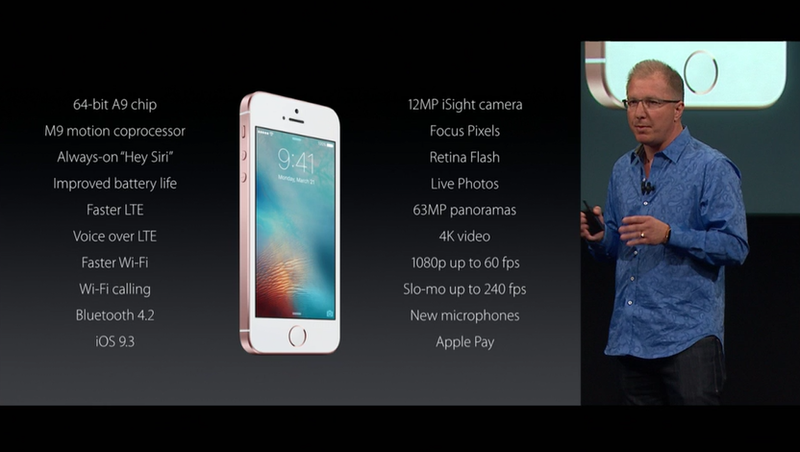 The front camera on the device looks impressive, as it is an 8-megapixel camera and comes with a Retina Flash. The pictures shown at the Apple Keynote looked really nice in terms of the clarity and the color. The operating system on the iPhone SE is obviously the iOS, but this time it is an updated version of iOS that adds a lot of new features, while fixing some bugs that users had in the previous versions. In terms of connectivity, the phone comes with a Lightning connector at the bottom for connecting the phone to your computer or charging the phone. The port is accompanied by the speaker grille and the 3.5mm headphone jack at the bottom. The home button on the phone is also a fingerprint sensor packed with the Apple’s famous TouchID. This allows you to unlock your phone as well as pay with Apple Pay in stores. The battery on the phone is an improvement from the older iPhone 5S’s battery, which might seem really low, but iPhones are known to have good battery optimizations at the core level. This means that the battery should be enough for a usual day of usage, but nothing can be said before testing it out. The iPhone SE is available in 2 different storage options, 16GB, 64GB. These are priced at USD 399, USD 499,respectively. It will go on sale in the certain countries starting 31st March 2016 and will go on sale in 110 other countries by May. 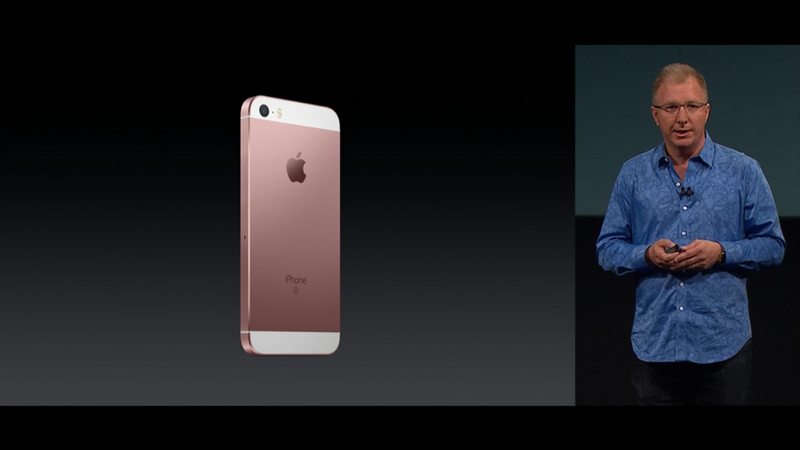 The iPhone SE will be available in 4 different colors, just like always. 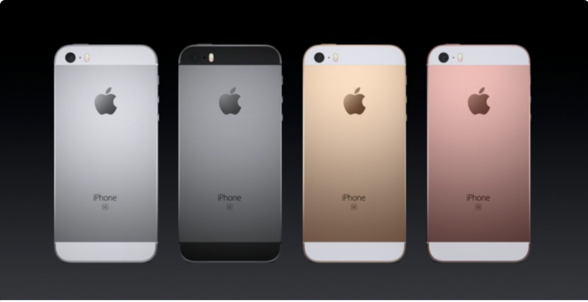 These colors will be gold, rose gold, silver and space gray. The iPhone SE really looks like a promising compact phone that offers a good user experience for people who have been waiting to upgrade from their iPhone 5 or 5S and were waiting for a compact phone from Apple. This is to say that Apple has not forgotten their user base, and are still working to make the best phone they can for the users.